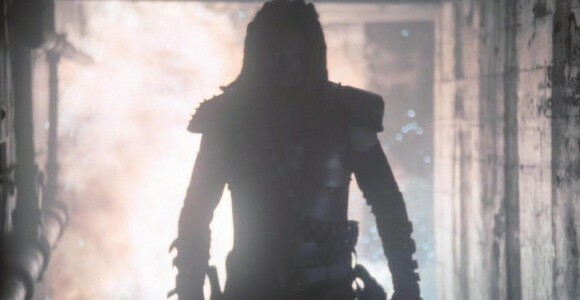 Ronon Dex is captured by the Wraith and returned to his homeworld, where he is haunted by his past as he is forced to once again become their prey. Nevertheless, Keturah and his people are not happy to see Ronon again. In a firefight, the team is shot with tranquilizer darts and McKay is hit in his buttocks with an arrow. Rodney manages to dial Atlantis and return for help. But the villagers imprison the rest of Sheppard’s team. After Ronon’s last visit, the Wraith left a communicator to call them should Ronon ever return. They do not hesitate to take the opportunity now. Keturah explains that in return the Wraith have promised to never cull his people again. Teyla is incredulous that anyone would believe a Wraith promise. Ronon pleads with the villagers to release his friends. When he makes no headway, he threatens to commit suicide with a knife before the Wraith arrive, thus angering them further and making a culling a certainty. The rest of the team is released and returned to the Stargate. Once back at Atlantis, Sheppard re-arms to take another military team to get Ronon. In the space of half an hour, the Wraith have come to collect Ronon — and completely massacre the village. The Wraith implant a new transmitter in Ronon. They release him back on Sateda, his own homeworld, to be hunted while a sadistic Wraith Commander watches from the ship above. Although Ronon knows the territory, the Wraith aren’t looking for an even match. They deploy tracking drones and multiple hunters. Ronon lays various traps, eliminating the hunters, only to have even more replaced each round. Using the long-range sensors on Atlantis, McKay uses the device originally removed from Ronon to determine how to find him. Though there are seven such devices in operation in the Pegasus Galaxy at this time (possibly all of them runners), he finds a signal on the star map which points to Sateda. This must be Ronon. Knowing a Wraith hive ship is likely to be in orbit over Sateda, Colonel Steven Caldwell agrees only to load a Puddle Jumper on the Daedalus so Sheppard’s team can finish the last leg cloaked to rescue Ronon themselves. Sheppard leaves McKay and Beckett inside the Jumper while he and Teyla search for Ronon, using a device that can track him. They find the wounded Ronon in the hospital where he last saw his wife — and watched her die — during the Wraith attack. While being hunted by his previous oppressors, he has flashbacks to the final moments before the Wraith obliterated his society. Sheppard finds him and orders him to return to the Jumper, but Ronon refuses. He will not leave until he has his revenge on the Wraith commander. Aboard the hive ship, the commander witness Sheppard’s arrival on his view screen, and sends an entire squadron of Wraith hunters after the team. Fueled by Ronon’s rage, Sheppard’s group eliminates all the hunters in a vicious firefight. Ronon finds a relay device on a warrior’s corpse and baits the commander to come down and fight him personally. Then he threatens Sheppard not to interfere, threatening to kill his ally afterwards for intervening. A Dart transports the commander to the surface to fight Dex in hand-to-hand combat himself. He soon proves to be a match for Ronon, brutally pounding the Satedan. Sheppard and Teyla monitor the fight from a nearby roof. Despite the obvious fact that Ronon is losing, she cautions him against acting, as the hive ship is monitoring. Not knowing about this threat, McKay and Beckett steer the Puddle Jumper into the fight pit and de-cloak a meter from the Wraith commander. Beckett fires a drone, plowing into the Wraith and careening him across the alley into a wall, destroying him. Immediately, the hive ship fires on the Jumper, but Ronon is pulled into the ship before the ship is struck. Apprehensive of Ronon’s wrath at not being the one to kill the Wraith, McKay tells Ronon that it was all Beckett’s idea to shoot. But Ronon grabs Beckett in a bear hug, thanking him. Beckett instructs that he must remove the tracking device as soon as possible, hoping that Ronon will now allow him to use a sedative. But as before, Ronon collapses, unconscious. “Sateda” had an unusually large budget, the most expensive episode of Stargate Atlantis since the 2-hour pilot movie. Dan Payne, the man behind the wicked Wraith leader in this episode, normally fills the suit of the Kull super-soldier on Stargate SG-1. VOTE! How would you rate Atlantis's "Sateda?"